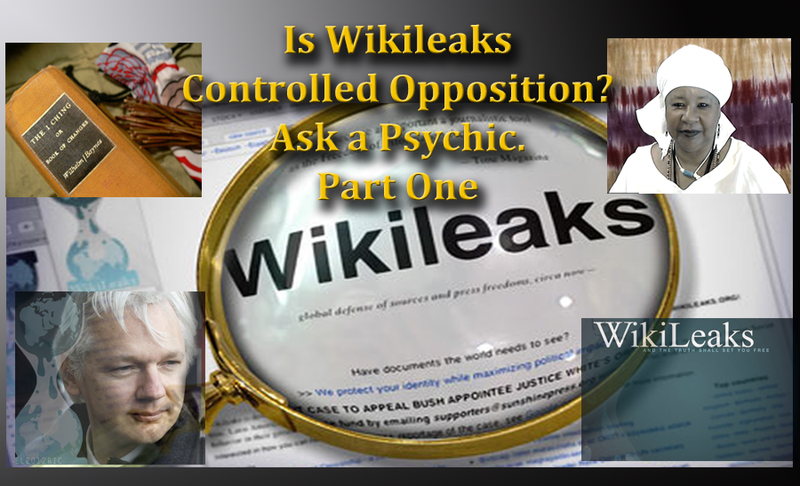 NB Commentary: I have added this blog for the purpose of adding more information to the video that I uploaded to YouTube called “Is Wikileaks Controlled Opposition? Ask A Psychic.” One of my subscribers asked that I look into it, after they saw my video on “What Happened to Dr. Sebi, Why Didn’t His Family Tell us?” For me it makes much more sense to go to the Oracles than to debate back and forth about a situation to determine what happened. It works for me. There are two videos listed in the playlist “Wikileaks.” Part 1 and Part 2. Some folks may find Divination something that they should avoid like the plague, I leave them to that idea. As for me, Divination has proven to put the proverbial “nail in the coffin” on controversial subjects especially. I use the I Ching which I have studied and experienced for over 30 years and have found it to be the most incorruptible Oracle system I have ever used. Check out my playlist….Nana Discusses Understanding the I Ching. Is Russia Today (RT) Part of the Controlled Media Matrix? In the three hours-plus that Hillary Clinton spoke with FBI investigators about her private email server on July 2, she cited more than three-dozen things that she could not recall.